This week, Courtney and I agreed that I would write about Self-care, and tell you a bit about what it means to me. 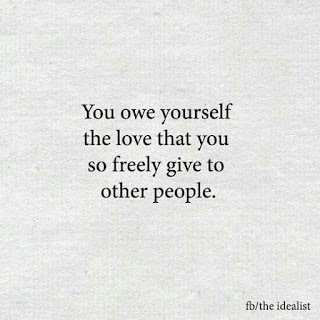 I believe that one of the most important aspects of self-care is self love. I also believe that true love is knowing and accepting everything about myself. This means getting to know all of myself, and sometimes means hearing hard truths. A few days ago, I had the opportunity to hear one of these truths from Courtney. You see, I was asked to interview with a business that I deeply respect. They work with battered women helping them to leaving abusive partners and get into safe living situations. The position itself wouldn't be taxing, but watching abused women come in and out every day would be for me, for two reasons. The first, and more obvious, reason is because most descent, and caring people hate knowing that another person is suffering. But in my case, I don't just dislike knowing it, I suffer with them as if it was my own. I forget that the way I can most help another is by staying healthy and whole myself so when they need support, I can be strong for them. The other, and more personal, reason is because I have a very bad habit of adopting "strays". I'm that woman who feeds the feral cats, and brings the homeless person home to stay with her. I do this often to my own detriment. In a work situation like this, I could quickly end up jeopardizing not just my health and well being, but the well being of the women trying to get out of the worst situations. 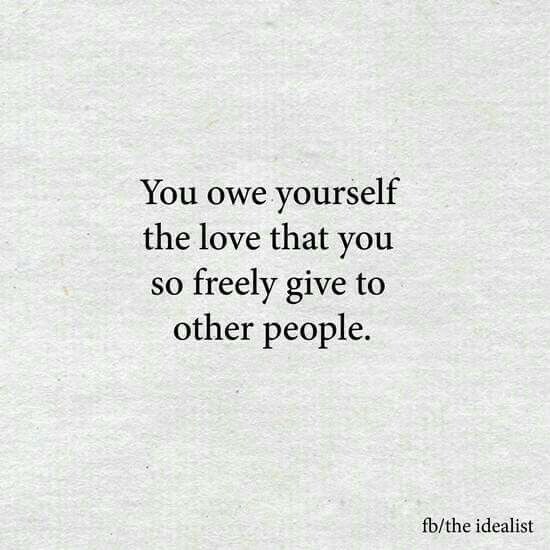 This is where self love comes in. When Courtney pointed out to me that I have this habit, I had the opportunity to either take it as an insult, or embrace this aspect of myself. By embracing it, I can grow and change the habit into something healthier for not just myself, but the people I care about. I can also use my knowledge to make better choices in my life. Embracing all of my parts in the act of self love, is one of the hardest and deepest forms of self care for me. But it's harder for me to keep living my life hating myself for who I am, and unable to change because I keep denying who am I. Many thanks to Courtney for inviting me to author this week's Self-Care Sunday post!